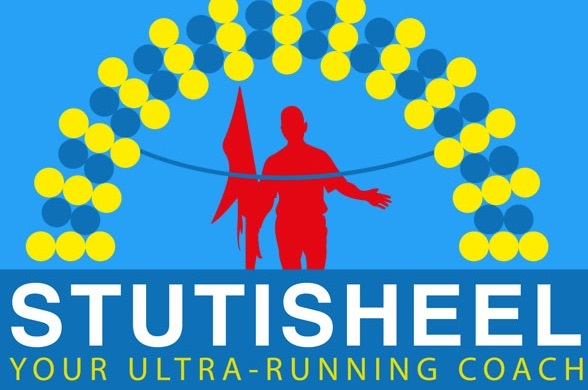 To finish a marathon, you need to train! How long you need to train depends on your physical condition. 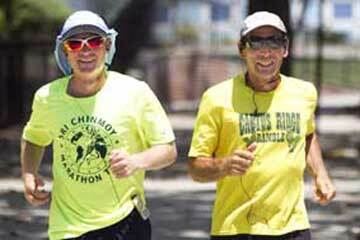 I suggest that you start a marathon training schedule at least three months before the race. If you are ambitious enough to want to break 3 hours, then you need to run at least 500 km in the month before the race. This breaks down to about 120-130 km per week. Not all your training days will be the same. On weekends your mileage will reach from 30-35 km. You will need to schedule another hard day of around 25 km some time during the week. During the rest of the week you should aim at 10 to 20 km. per day. To get into good shape I suggest training a formula of 3+1. Take one day of rest for every three days of training. When you can maintain this schedule without any problems, you can move up to 4 + 1, then 5 + 1 and even 7 + 0 if you are strong enough. You will also need to do need speed training. Fartlek, which means “speed play” in Swedish, and which combines continuous running with intervals, can play an important role in the development of strength and endurance. You can try 1 km-3 km at a fast pace, and then use half that distance, 500 m-1.5 km, to recover. Based on my own experience, you should use the following nutritional supplements when training for a marathon: Multivitamins, including C and B-complex, calcium and magnesium. These all have a role to play, especially when you increase your mileage to 80 km per week or more. Over the last few years I have very good experiences with natural mixtures that help you recover faster, assimilate heavier loads and build muscles. I recommend the brand Vega Sport in particular. In 2010 I wrote a book on my own experiences while training for and running the 3100-Mile Race: Eat to Run 3. You can also try the well-known protein diet before your marathon. Six days before race day stop eating any carbohydrates; Just eat protein. Then, three days before the race day you change everything—stop eating protein and start eating food rich in carbohydrates. Usually you don’t do any training in the three days before the marathon. This period of complete rest, gives the liver an opportunity to store the glycogen that the body will need during the race. But this diet only works for distances up to the marathon. When it comes to multi-day races, carbohydrates are no longer the most important fuel so the picture changes completely. Let’s start with shoes. Ideally, you should choose a model that is comfortable and supports your foot well. Top running brands like Asics, Nike, Adidas, Mizuno all have models suitable for different levels of foot pronation—the turning of the foot inward or outward. The need for other features, such as arch support, depends on the structure of your body and your style. Most people need something extra, so it’s better to invest the time and money to go to a good running store and have them fit you properly. Take a test run on a treadmill to help determine your needs. During a marathon you repeat the same steps over and over, giving apparently trivial or infinitesimal factors an opportunity to manifest themselves. Something that you didn’t pay any attention to on a short run might turn into a serious problem at the marathon distance. For example, if you have a slightly flattened or widened foot, you need to look for shoes with a larger width then normal (2E, 4E). Otherwise you will quickly develop blisters on your toes. The leading running shoe manufacturers produce special marathon models that are much lighter than regular training shoes. It’s important that you feel really comfortable in whatever shoes you end up using. Do a few workouts in them before the race—you need to be sure that the shoes fit perfectly. That way you won’t have any surprises on race day. I strongly recommend lubricating all surfaces subject to friction with baby oil. You can even take some along on the marathon. Some athletes use coconut oil or other special oils for lubrication, but the important thing is to avoid friction and the heat and blisters it generates. When it comes to clothing, it’s advisable to choose the special athletic fabrics rather than cotton. Cotton clothing gets wet quickly and then stops breathing. It’s to better get shirts, pants and socks made from synthetics, like the Coolmax series. And if it’s likely to be sunny, make sure to wear a hat. Heatstroke will take your life energy away very fast. You will also likely need to use sunscreen, so that you don’t need to use additional energy dealing with sunburn. Get a sunblock with an SPF of at least 30. A typical rookie mistake is to go out fast at the start and in the second half of the marathon to have no energy for running. It is helpful to have preset milestones along the route for better control and understanding of your performance: 5 km, 10 km, 21 km and 30 km. When you get to each milestones it will be clear whether you’re ahead of your pace or behind it. For example, if you started out running with the pack at an adrenaline-fueled pace of 3:30/km, but you were planning to run the race in 3 hours, then you obviously have to slow down. To cover the second half in the same time or better than the first is a sign of experience. It is better to add speed in the second half and feel like you’re flying to the finish line rather than to start fast and burn fast. For your first marathon, just reaching the finish line is a very worthy goal. The first time you try, it’s better not to push, but to run at a pace where you’re sure you will finish. Each distance has its own secrets. From my own experience, I recommend you set yourself a goal that is realistic based on your performance in training. You should compete only with yourself, not with other runners. If you try competing with the people around you, there’s a strong chance that you will hit the wall much earlier than otherwise. This is a difficult lesson. But if you can learn it, it can be very effective. And, if you are able to hit your target time, you will be flooded with joy, even if other runners pass you. It’s essential to drink during the race. Usually, there are aid stations every 5 km. Organizers often provide energy and electrolyte drinks like Gatorade or Cytomax. If the weather is very hot (30 degrees or more), they might be helpful. But just don’t drink them down without knowing how your body will react. Long before race day, while you’re still training, you should get to know how your body handles each brand of drink. In any event, be sure to drink a lot before, during and after the marathon, especially in hot weather. Nowadays there are many nutritional gels that help to replenish your body with minerals, electrolytes and energy. These can help your endurance and performance. During my first marathon I drank only water. Now, even on long workouts I use natural energy bars (Shot Blocks, ProMeal Bar). In general, apples, bananas, citrus, raisins, prunes, dried apricots and nuts can help you replenish energy. But it’s very much an individual choice. And if you are trying for a three-hour marathon or anything faster, due to the intense stress, your digestion essentially won’t function. You have to choose what suits your body. I think this should give you enough things to experiment with:) Over time, as you become more experienced, you will learn more about your body, mind and spirit. Once you’ve done a few marathons, you might be inspired to try ultra-marathon and multi-day races. But that’s another story. Wishing you good luck and joy with your running! PB in marathon – 2:46:04. 1. Seven Steps to a Successful Marathon. Arpan De Angelo. 2. Sub Two Hour Marathon. 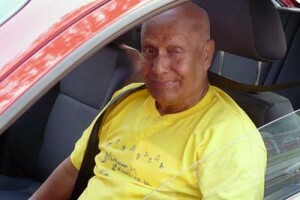 Advice from Sri Chinmoy. 3. 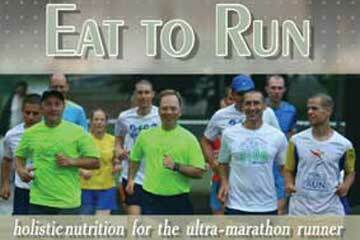 Eat to Run. Stutisheel . 4. www.SriChinmoyMusic.com – spiritual music.